Getting ready to throw this bad boy on the smoker. 18lbs before trimout. Let's see how this goes. 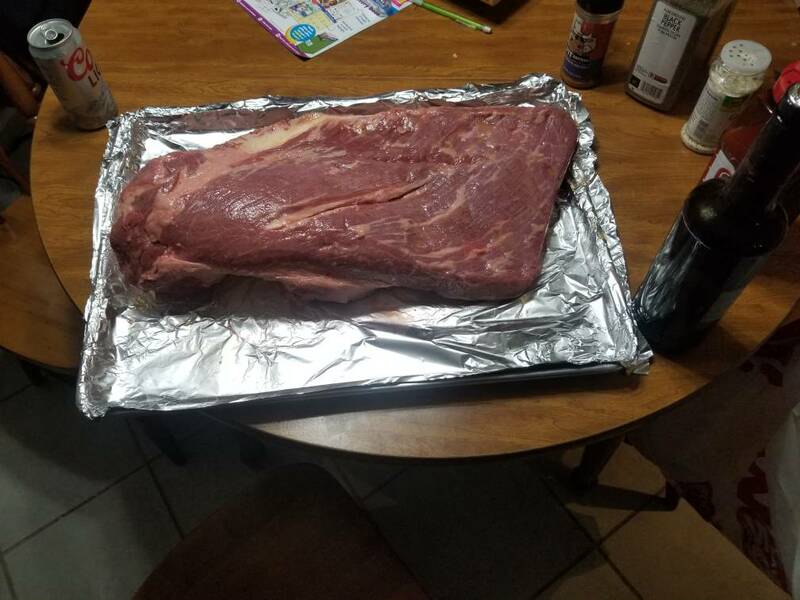 I’ve got a rib roast dry brining now that I’m gonna throw on the smoker on Christmas. Also got a pork belly I’m gonna smoke for burnt ends. So I took my time on tp9his one. Prepped everything. Took a few pic's as it progressed. B-e-a-utiful. Seasoned with black pepper, garlic salt, lawrys seasoning, Pitt happens rub. Trimmed and seasoned then let sit for 4 almost 5 hours before it went on the smoker. 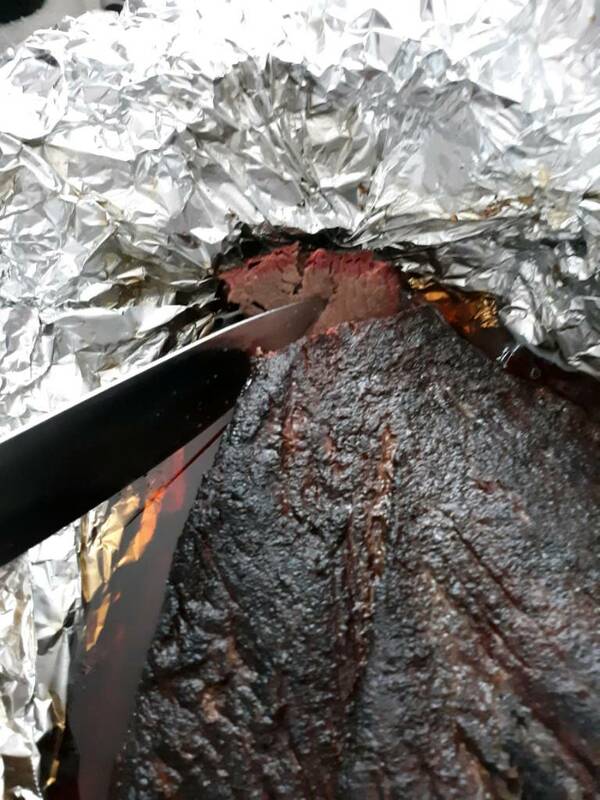 Texas crutch at 148* to finish(203*) 9 hours in total.. 15.8lbs before trim. Okay . . . I'll be there shortly . . . Very nice! I’ve got one in the fridge wet aging. I’m thinking about separating it and making pastrami out of part of it.